WordPress is a blogging platform that allows you to build up a professional look site with all of the bells and whistles, but many people aren’t even sure as to why it’s so sought after. When it comes to content management you always want to have the best option available, and WordPress is definitely a top notch platform to be using. You’re going to need to know a little bit about the software if you’re going to build up a relevant site, but it’s as easy as it possibly be. Drupal and Joomla would be ideal alternative for WordPress, but most internet marketers make use of WordPress for a few particular reasons (which is what we’re about to walk you through). Content Management Systems need to be easy to use, you don’t want one that’s going to confuse you when all you want to do is post to your blog. It’s intuitive, efficient and straight to the point with most of its instructions, and even if you still need help there are a plethora of cheap training courses available on the internet. WordPress is free (for the most part) because it’s a dedicated open-source project, this means that the community can actually get the source code and develop a better version themselves. This not only helps you understand it better, but it also offers up the thought that a community member might make a better version in the near future. Functionality and security are crucial when it comes to WordPress, which is why so many people work with it. WordPress isn’t just a blogging platform, people can build up high-quality authority sites by using this particular software. There are an abundance of different themes and plugins to use when you have WordPress, which makes design much easier. Themes are what you use when you’re looking to change up a sites design, there are an abundance of premade themes available for WP (WordPress) sites. This allows a webmaster to skip the entire design process and get straight into the good stuff. Plug-ins are another neat feature having to do with WordPress, as there are a bunch of different plug-ins you can use to improve upon your sites performance. There are well over 30,000 free plug-ins at your disposal with WordPress, which is a pretty astounding number. 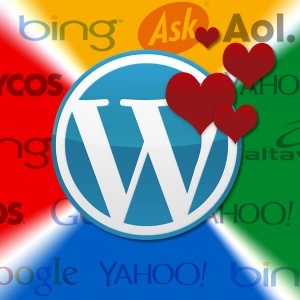 Optimizing a blog can be a daunting task, but WordPress makes it relatively easy. There are a bunch of different plug-ins that can help you optimize your on-page SEO, as well as a bunch of other different plug-ins that can help you optimize the site in different ways. Previous PostPrevious How important is Quality Content (for SEO)?